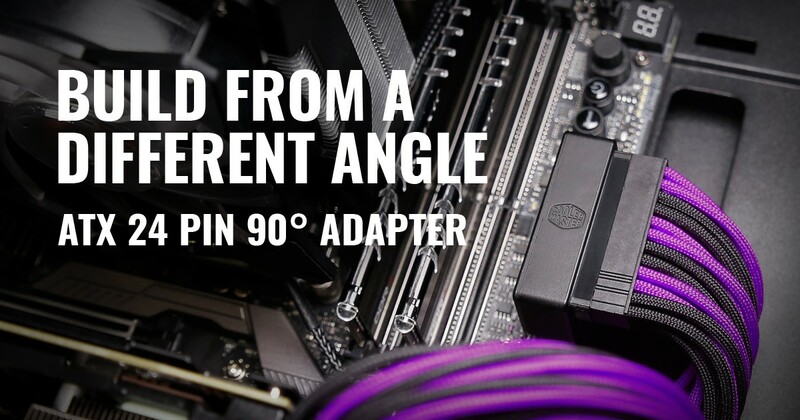 SINGAPORE – Cooler Master today announced the release of the new ATX 24 Pin 90° Adapter. Building a PC is about more than just getting all the parts to work. Each custom designed, home built system is a personal experience that expresses the needs and desires of the builder in terms of both performance and aesthetics. This new adapter is latest way that Cooler Master is helping people express themselves through the building of PCs. The plug and play ATX 24 Pin 90° Adapter comes with built in capacitors to ensure stable output. While the effects of this accessory on stability and efficiency are negligible, any added obstacle between the original power source and output destination can have some level of effect on the power supply unit’s overall performance. To combat these negative effects, Cooler Master has created a special version with extra capacitors built into the adapter to safeguard against any performance loss.